My cousin is getting married in the Fall and yesterday I got the invite to her Bridal Shower. And it hit me that there was a time in my life when going to Bridal Showers was a monthly event. I haven't been to a Bridal Shower in 3 years and I haven't been invited to one in almost two years. However, I have been invited to many baby showers and now that is becoming a very regular occurrence in my life. Isn't it funny that as the bridal showers slowed, the baby showers stepped it up? 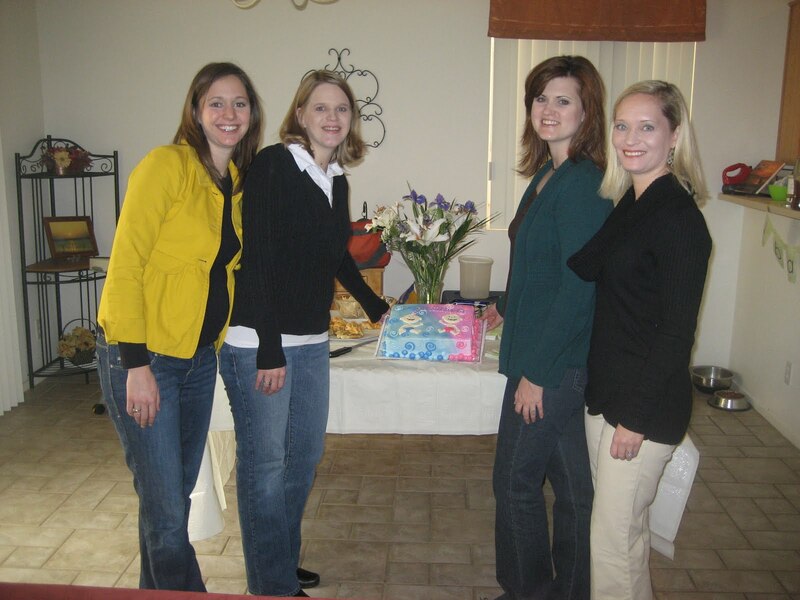 Here I am at my baby shower for the twins. Do you notice anything funny? Like that I'm not pregnant since I had the babies 10 days before my shower. So this got Brett and I talking about our favorite weddings and our least favorite weddings that we have attended. We agree hands down on the worst wedding we have attended together and I'm withholding the names to protect their innocence. But we don't agree on the best wedding. My favorite is his #2 and his favorite is my #2. I guess good taste really can't be taught. It's weird to me that the wedding phase of life came and went so quickly. But I look around and almost everyone I know is married so I shouldn't be surprised. I feel like that phase of our life is passed and we will won't come back to it until our kids are grown. My in laws go to weddings all the time so I have a feeling we'll go through the phase again too. But then again, it may happen faster than that since there are quite a few divorces from the wedding phase of our life. So are you moving into a new phase of life? Going through phases of life are like moon phases (hence my handle at almost 40). I've entered the empty nest phase, and in a few more years, I'll likely be seeing the in-law grandchildren phase. I must admit, I don't really do social gatherings unless I feel obligated in some way because of my social anxiety disorder, but I have seen a few good ones and one that was just a nightmare. My children are teens and I'll be looking at an empty nest before long (before I'm ready). I'm a little excited at the thought of more time for me. Hey Allison, I'm a new follower from the Sunday Blog Hop. I can relate to the baby shower invites. It seems I had about seven friends who were all pregnant and due about the same time over the last several months. LOL Something was definitely in that water!